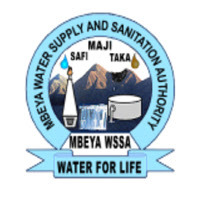 Mbeya Water Supply and Sanitation Authority (Mbeya WSSA) is an autonomous water supply organization mandated to provide water and sewerage disposal services within the urban area of Mbeya City. It was established in January 1998 under section 3(1) of Act No.8 OF 1997, repealed by Act No.12 of 2009. To adequately fulfill its objectives and in line with the expansion of activities Mbeya WSSA is now inviting applications from suitably qualified and self motivated Tanzanians of high personal integrity to apply for the following positions. i. Holders of Bachelor Degree in Computer Science, Computer Engineering, Information and Communication Technology, Information System Analysis, Electronics and Communications or any other relevant qualifications from a recognized Institution with a working experience of at least (3) years on the same field. To provide ICT assistance to Mbeya WSSA staff. To schedule upgrades of hardware and software systems and security backups. To ensure the smooth running of all ICT systems including anti-virus software, printing services and email provision. To provide secure access to the network for remote users in any. To ensure the security of data from internal and external attack. To manage ICT crisis situations, which involve complex technical hardware or software problems. I. Holders of Bachelor Degree or Advanced Diploma in Accountancy or Finance, Business Administration (majoring in Accountancy or Finance) from Institutes of higher learning with at least three (3) years of working experience in accountancy or finance and must be registered by NBAA as CPA (T) or ACCA holder or equivalent professional qualifications. Knowledge of accounting packages and computer strongly Microsoft Office is a must. 1.To assist project investigation, evaluation and implementation as required. 2.To provide report and information that enable proper control to be exercised over projects. 3. To authorize payments appropriate for the section within the delegated powers including signing of cheques. 4.To assist in preparation of annual accounts. 5. To supervise the maintenance of the books of accounts allied records and related correspondences. 6. To participate in the preparation of annual plans and budgets. 7. To prepare and submit monthly, quarterly and annual financial performance reports. 8. To make timely payment of taxes, salaries, imprests, creditors and statutory contributions in order to avoid surcharge and penalties. 9. To make timely and safe collection of water and sewerage revenues and deposit them into bank accounts. 11.To assist in providing financial and costing information including production water costs in liaison with business section, water production section, and network and construction section. 11. To perform any other related duties as may be assigned by the relevant supervisor. i. By appointment of candidates holding Bachelors Degree or Advanced Diploma in Human Resource Management, Public Administration, Business Administration with bias in Human Resources Management, Industrial Relations, Manpower Planning, Management or equivalent qualifications with at least 1 year in working experience, He/she must be computer literate. 6. To deal with staff welfare i.e. medical services, annual leave fare, etc. 8. To handle staff welfare issues including grievances, leave, transfer and terminal benefits. 9. To carry out any other duties that may be assigned to him from time to time by his /her supervisor. i. By appointment of candidates who has a Bachelor Degree in Journalism, Public Administration, Sociology, Social Works, Mass Communications, Public Relations, Marketing or related disciplines with at least one year in working experience, Computer literacy is essential. 1. To collect and handle internal and external complaints. 2. To prepare and carry out Mbeya WSSA public announcements. 3. To conduct customer survey. 4. To assist in collecting opinions and feedback from the public about the organization. 5. To participate in the proper preparation and issuing of all the press releases, newsletters, interviews and other official publications. 6. WSSA customers to collecting and analyze data on Mbeya. i. Holders of Bachelor Degree or Advanced Diploma in Accountancy, Finance or Auditing from a recognized Institution. Working knowledge in the use of accounting and auditing packages with at least two years in working experience, computer literate is an added advantage. i. Holders of Bachelor Degree or Advanced Diploma in Civil, Water Resources, Electrical mechanical, Environmental or Sanitary Engineering from a recognized institution with at least one year working experience on the same field, the candidate must be registered as a graduate engineer with Engineers Registration Board (ERB) of Tanzania Computer competence in engineering packages is essential advantage. i.To assist in survey, development and maintenance of water works. ii.To organize maintenance of water networks. iv. To supervise the preparation and implementation of water works activities. v. To analyze causes for water loss and recommend accordingly. To review performance of water works and prepare necessary reports. vii.To perform any other duties as may be assigned by relevant authority. i.To assist in collection and analyzing systems and procedures for urban water supply and sewerage network. ii.To assist in carrying out technical, economic, social and financial appraisal or proposed projects. iii. To assist in carrying out master planning for urban water supply and sewerage network. iv.To analyze demand for water and sewerage service. v.To assist in establishment of design standards and specifications for all development works undertaken by MBEYA WSSA. vi.To supervise all water supply and sewerage network construction contracts. vii.To ensure that proper construction progress records are kept and periodic progress reports are produced for each contract. viii.To assist in assessment, design and supervision of extension of water distribution lines. ix. To carry out any other duties as may be assigned by the supervisor. i. To assist in efficient and effective management of the Maintenance and Repair Section. ii.To assist in maintenance and repair of all mechanical and electrical water treatment plant pump stations, equipment, meters and valves. iii.To assist in developing policies, standards, and procedures for the mechanical and electrical maintenance and repair of water plant, vehicles and equipment. iv.To coordinate the preparation of preventive mechanical and electrical maintenance programs for plant and equipment. v.To maintain up to date documentation on maintenance and repair. vi.To coordinate regular inspections of plant and equipment. vii.To monitor servicing, maintenance and repair activities. viii.To advise on appropriate mechanical, electrical maintenance and repair equipment for procurement. ix.To coordinate training of maintenance and repair Assistant Technicians. x.To prepare and submit maintenance and repair reports. xi.To attend unscheduled maintenance and repair emergency cases. xii.To prepare maintenance and repair budget. xiii. To perform any other duties as may be assigned by the supervisor. ii.To assist in formulating policies, standards and procedures for water treatment. iii.To monitoring performance of water sources and water treatment plant. iv.To formulate long term plan and annual budget for water production and treatment. vi.To regularly determine resources requirement for proper production of adequate quality water. vii.To carry out other duties as may be assigned. i.To prepare sewerage network schedules. ii.To collect and analyze data on sewerage. iii.To conduct training for sewerage staff on the use of safety and sanitary gears. iv.To analyze the extent of damaged pipes before declaring them to be removed. v.To supervise investigation on illegal sewerage connections and recommend rectification measures. vi.To determine amount of waste water being discharged to the sewerage network. vii.To compile monthly and quarterly sewerage operations and maintenance reports. viii.To perform any other duties as may be assigned by supervisor. i. To supervise production and treatment of water. ii.To supervise the formulating of policies, standards and procedures for water treatment. iii.To supervise management of water sources. iv.To supervise formulation of long term plan and annual budget for water production and treatment department. v.To supervise preparation of water production performance reports. vi.To determine resource requirement for proper production of adequate quality water. i.To advise on effectine means for handling and treating sewerage. ii.To supervise training on the use of sewer and safety equipment to personnel dealing with inspections and maintenance of sewers. iii.To supervise inspection of waste water collection system. iv.To design mechanisms for improving sewer systems. v.To supervise maintenence of sewer, overflow and blockages. vi.To supervise compilation of sewerage works reports. To make follow-up and collect billing claims. The qualified persons should submit their handwritten letters of application stating how they meet the advertised criteria attaching copies of relevant academic, personal curriculum vitae(CV) supported by professional certificates and testimonials or transcripts so as to reach the under mentioned not later than 22th Dec 2017. Applicants are also required to indicate the names and contacts of at least three (3) work/professional related referees. Applications who will not meet the stated qualifications will NOT be considered. Only shortlisted candidates will be contacted for interview, shortlisted candidates shall be subjected to competency assessment and reference checking.